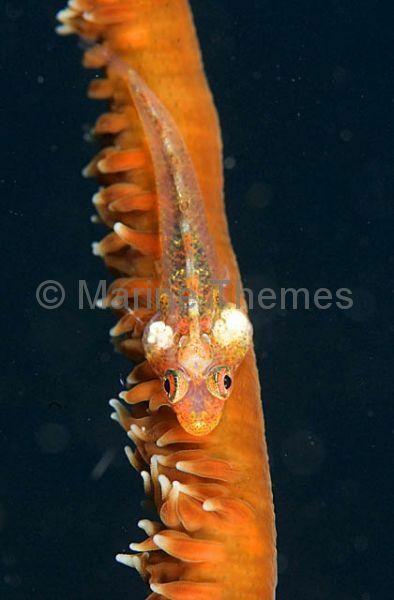 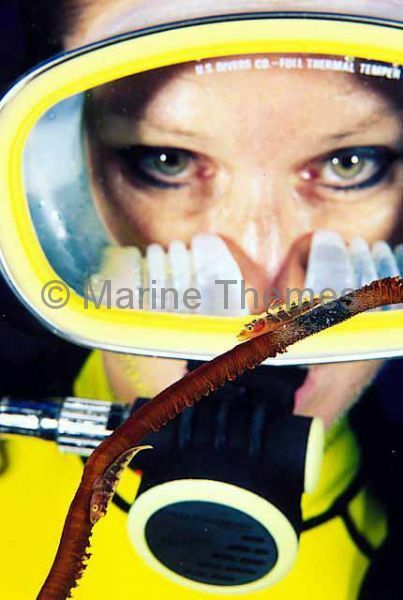 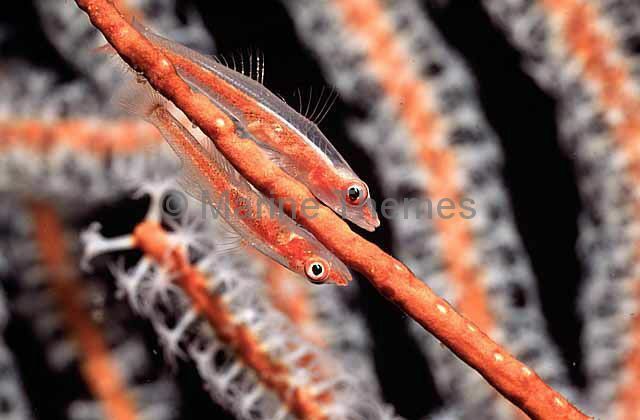 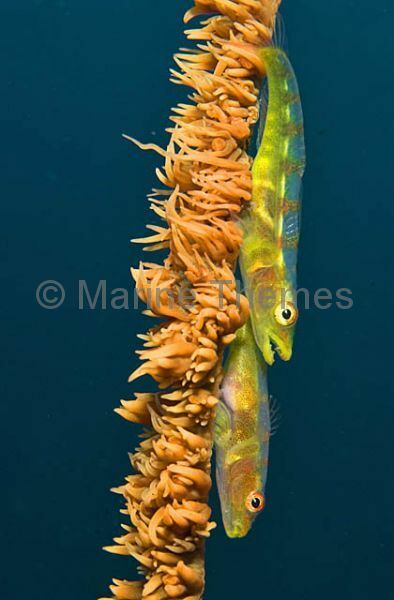 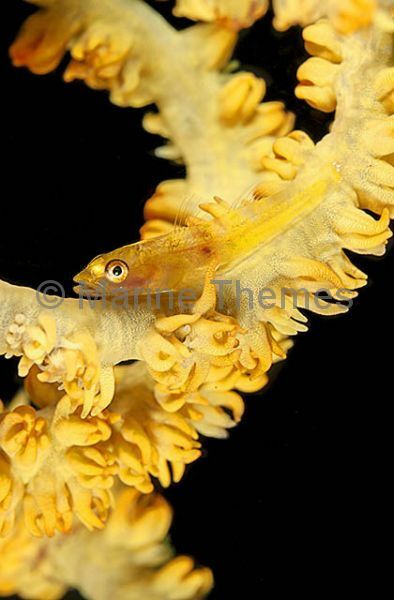 Whip Goby (Bryaninops yongei) pair on coral whip. 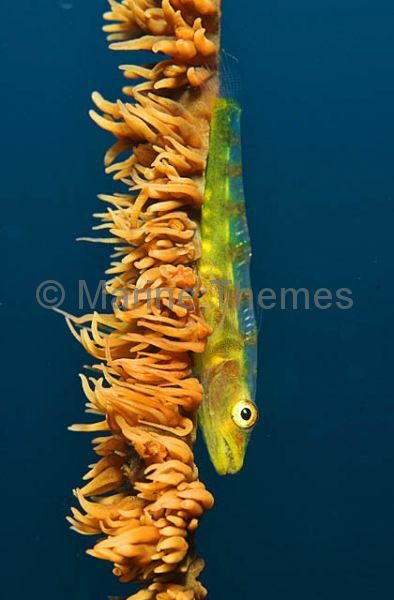 Whip Goby (Bryaninops yongei) on whip coral with diver. 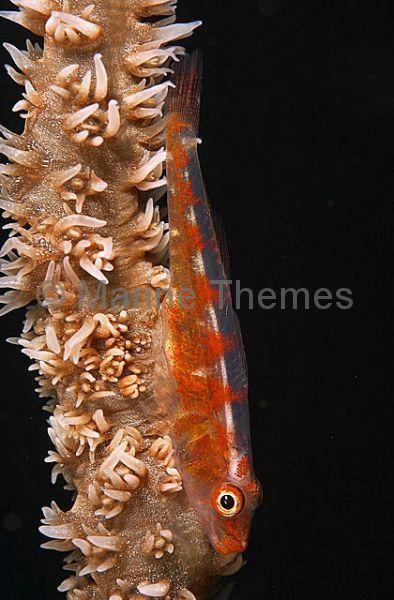 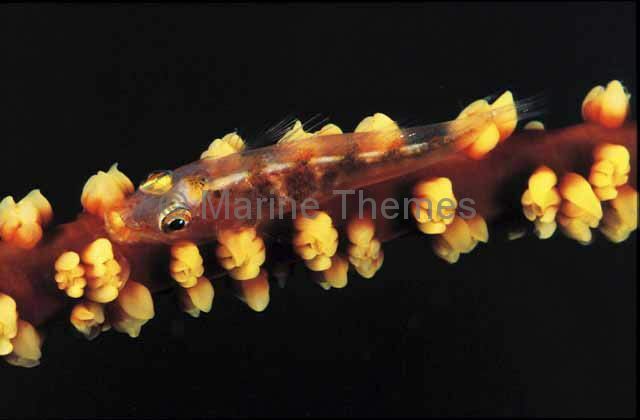 Whip Goby (Bryaninops yongei) on whip coral with gills infected with parasites. 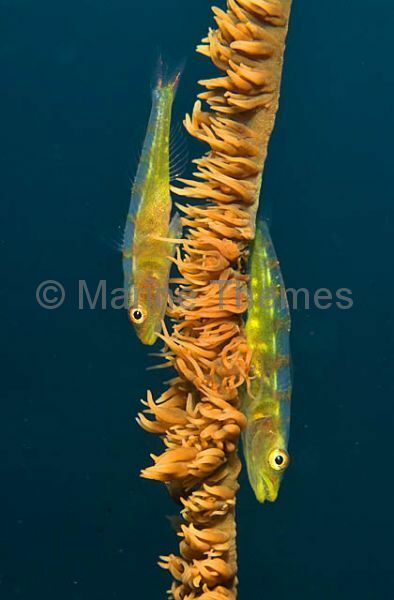 Large Whip Gobys (Bryaninops ampulus) on sea whip.